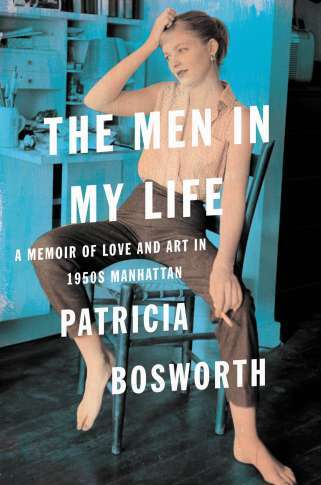 Patricia Bosworth has written acclaimed biographies of Montgomery Clift, Marlon Brando and Jane Fonda. 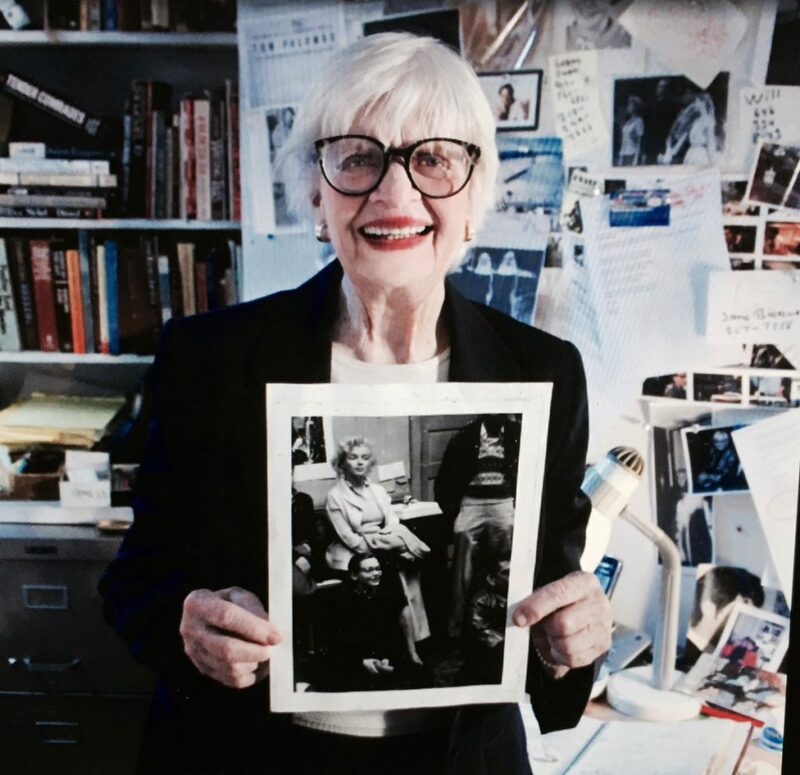 A lifelong member of the Actors Studio, she also wrote ‘The Mentor and the Movie Star‘, a 2003 article about Marilyn and the Strasbergs for Vanity Fair, and appeared in the 2006 PBS documentary, Marilyn Monroe: Still Life. In her new memoir, The Men In My Life: Love and Art in 1950s Manhattan, Bosworth recalls her acting days. In an extract published by Lithub, she describes an encounter with Marilyn. 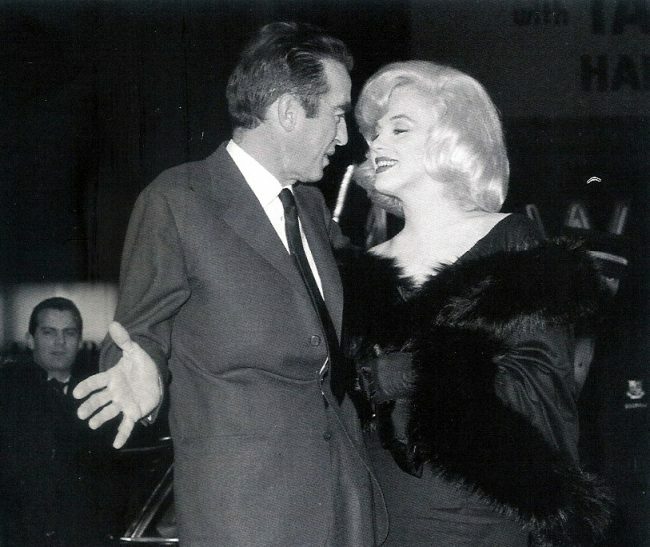 “I slid into the backseat, where I found Marilyn Monroe huddled in a corner dreamily puffing on a cigarette. Her bleached blond hair was tousled; she seemed to be wearing no makeup. I noticed there was dirt under her fingernails, but I couldn’t stop looking at her. We were about to pull away from the curb when a voice cried out, ‘Hey Lee, goin’ my way?’ and Harry Belafonte hopped in beside me. We drove uptown in silence. Elsewhere, Bosworth confirms that Tennessee Williams had wanted Marilyn to star in Baby Doll (but Gore Vidal thought she was too old.) 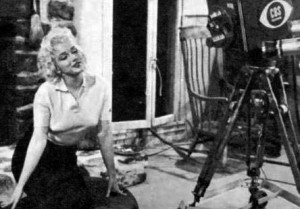 Bosworth knew many key figures in Marilyn’s life, including Elia Kazan, Lee and Susan Strasberg – who found her father’s ‘obsession’ with Marilyn disturbing. Bosworth, unlike Marilyn, was born into a life of privilege, and forged a stage career as well as starring alongside Audrey Hepburn in The Nun’s Story. However, her impeccable connections couldn’t save her from family tragedy (her brother and father both committed suicide), and an abusive marriage. The 1950s, as Bosworth observes, was a staid, even repressive decade – but the creativity and rebellion of the 60s was already fermenting. She talks about the impact of the anti-communist witch-hunts, both on the artistic community and her own family, and the rampant sexism she constantly endured. 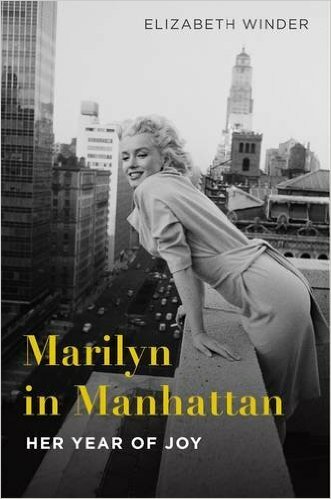 Elizabeth Winder will focus on Marilyn’s New York period directly in her forthcoming book, Marilyn in Manhattan: Her Year of Joy, but Patricia Bosworth’s account comes from her own experience. For anyone interested in learning more about the bohemian world that women like Bosworth – and Marilyn – helped to define, The Men In My Life is essential reading.